When people think of New York, they tend to only to talk about NYC. There's so much more to New York state than the city and if you explore a little bit north, you'll find yourself in a more laid-back relaxing oasis. Growing up and living in Westchester County, people from the city assume anything that is not within the five boroughs is automatically called upstate New York. This is so wrong, and if you travel past Westchester County is when you hit the actual upstate New York area. Upstate New York has many regions to visit and explore but today I will be mentioning the Catskills. The Catskill Mountain region is around 100 miles northwest of New York City. The Catskills have been a popular vacation spot for New Yorkers for many years. 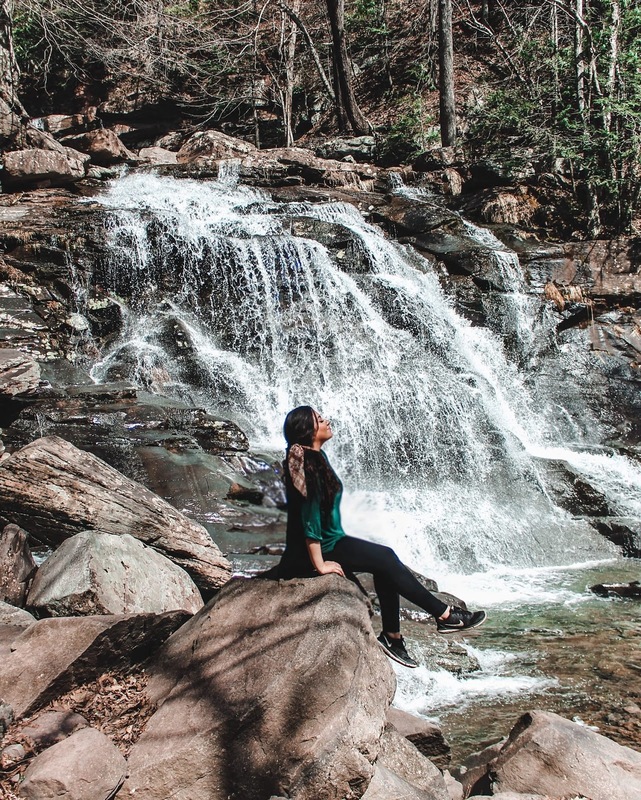 With over 98 peaks in the Catskills Mountains, the vast forested region is home to incredible hiking and outdoor activities for everyone to enjoy. 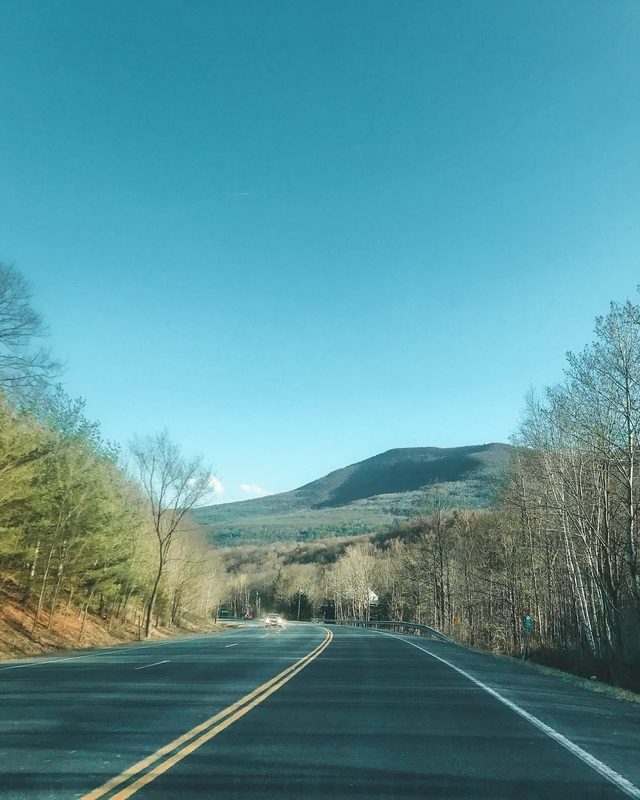 It doesn't matter what season you visit, there's always something to do The Catskills are home to quaint villages, antique shops, art galleries, delicious farm-to-table restaurants, and miles of walking, biking, and hiking trails. I do recommend traveling here by car so you have the freedom to explore and stop where you want. But there are other forms of public transportation in getting to and around the Catskills. I decided to take a mini getaway weekend trip to the Catskills and explore more of this area. It's actually my first time ever visiting and staying in the Catskills and I was super excited to have a change of scenery. I've always driven past this region when visiting my brother at his college up in Albany but never really went off the exit to see what the Catskills was all about. In the short time that I was there, I found myself enjoying disconnecting from the distractions of being on my phone or computer and just exploring and relaxing in nature. 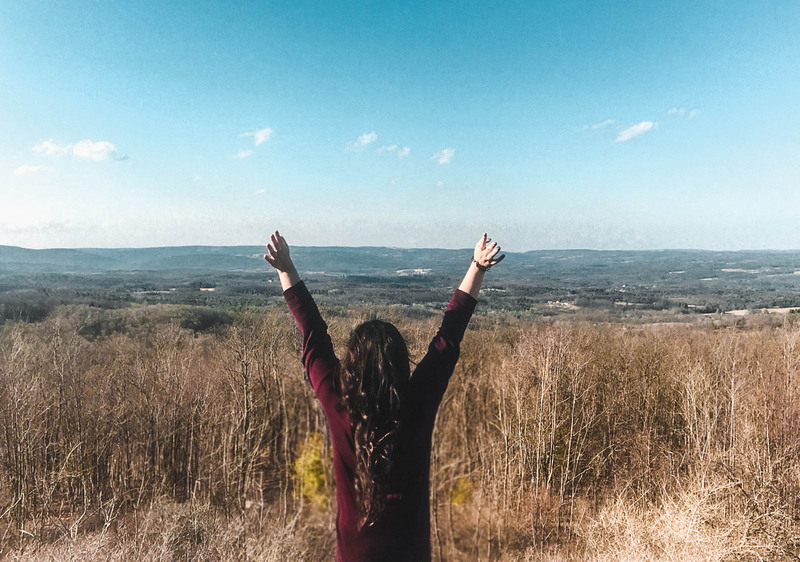 If you ever wanted to explore beyond New York City, here are some activities I recommend doing during your stay in the Catskills. You'll find many ski lodges, cabins, hotels, and resorts all scattered around the Catskill region. This area is surrounded by nature and one of the best ways to get that full experience is staying in a cabin in my opinion. I haven't stayed in a cabin before this trip and I unexpectedly really enjoyed my time in one. Being in a secluded quiet area in a warm cozy unique cabin, warming up near the fire at night and eating s'mores, listening to music, and disconnecting from my phone was just what I needed. If you want more information on the cabin accommodation that I stayed in during my trip (click here) for a full review! A few minutes drive from our cabin we went to see the Five State Lookout. On a good clear day you can see views of the Hudson River Valley and 5 states. You'll find panoramic views from the White Mountains of New Hampshire, the Green Mountains of Vermont, the Berkshire Mountains of Massachusetts, the Helerberg Mountains of New York and the Connecticut Valley. It's a pretty view but it was a tad too cold and windy to wait for sunset to set when we went. When the weather is warmer and the trees have bloomed I bet it's definitely a sight to see! Drive Along the Catskills State Park. I love visiting state parks and this one was no exception. Driving along a state park you're usually looking at a scenic drive and there's always a nice viewpoint somewhere along the park. Seeing the mountain views and falls during the drive was very pretty but I'm sure it'x 10x better when the trees are fully bloomed in late Spring/Summer seasons or during the Fall when the leaves are changing colors. But coming here in early April did have it's advantages by having less tourists around and being able to visit these sites and not having crazy crowds around. 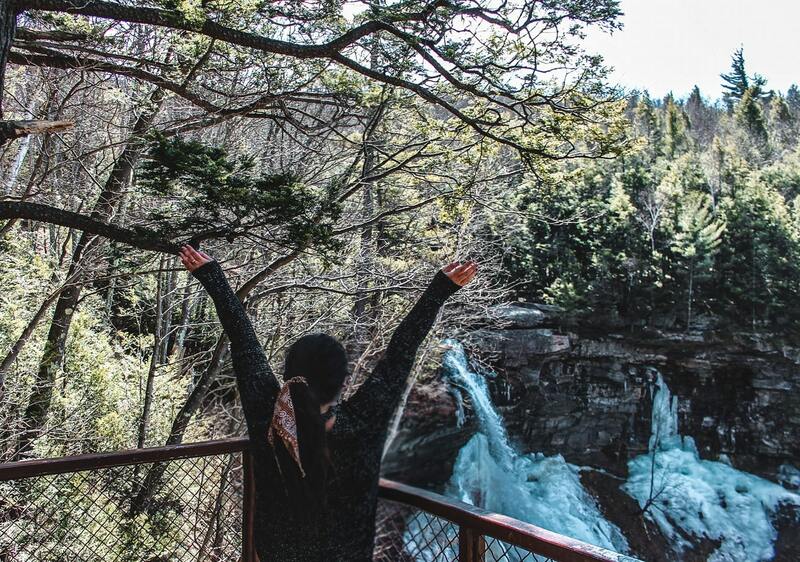 Hike and See Kaaterskill Falls. When you're driving around the State Park, you'll see part of the Kaaterskill Falls during the drive. What you want to do is put Kaaterskills Falls in your GPS and follow the directions or follow the signs where you end up at a parking lot. Park your car and start your hike! 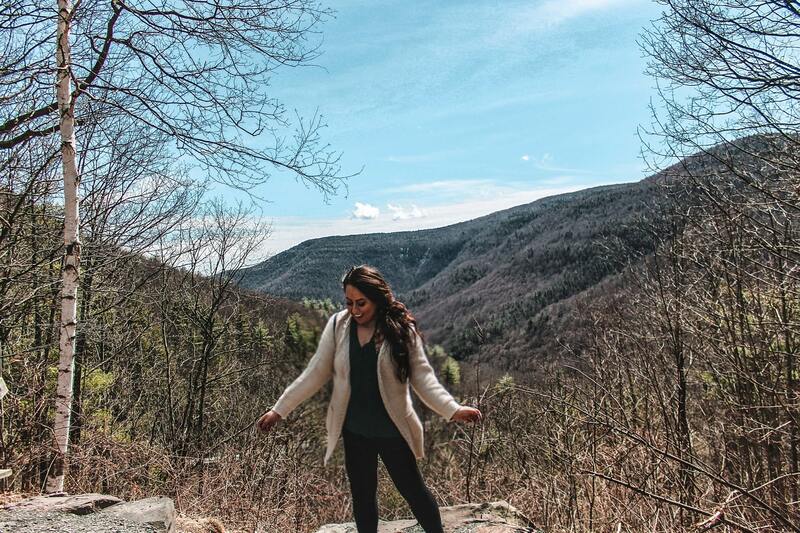 There's three different paths to take for your hiking needs, one is hiking to get the mountain view, another one is hiking to the top of the Kaaterskill Fall and last one is to hike to the lower half of the Kaaterskill Falls. Because it was so cold and windy we only did the hike to the top of the Kaaterskill falls viewing platform and went back to the car. We did see the lower part of the falls by doing a shortcut hike. We drove back towards the state park and parked our car in a viewpoint area where we saw many other tourists parking their cars and walking down the hill to get to the lower part of the waterfalls. By doing this you save time and you're not going through the woods and walking many stairs to get to this area. Winter Activities at Hunter Mountain. Hunter Mountain is the the place to go for all your winter activity needs. From skiing, snowboarding, tubing, and so much more there's something for everyone here. Hunter Mountain is most popular during the winter season and this is what lures tourists in to come visit the Catskills. 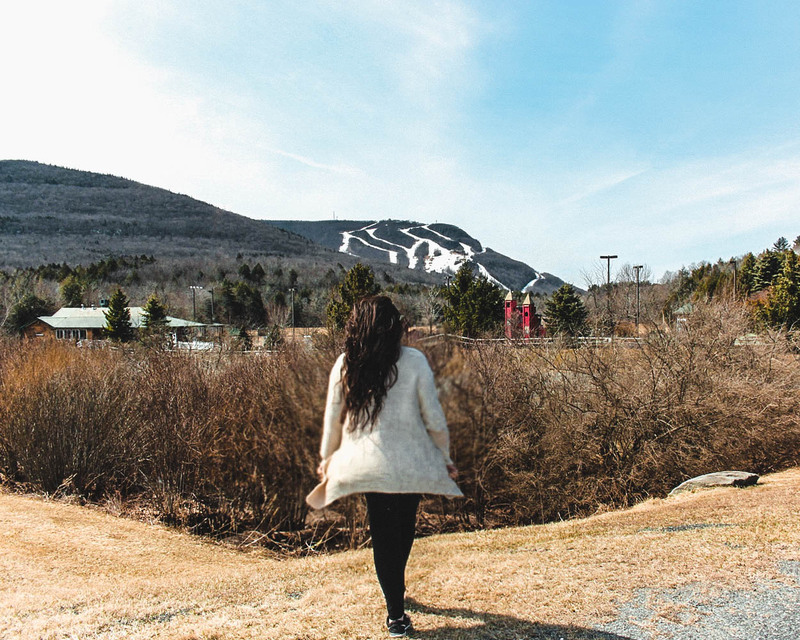 Especially near Hunter Mountain, you'll find many ski lodges, resorts, and hotels available for you to stay in if you desire to stay for a longer period of time or if you like to be close to all those activities. Because I came in April and it's Spring but if you're a New Yorker- you know it still feels like winter right now, everything is closed. It was a ghost town but that didn't stop me from exploring the area and it was cool to see the mountain from afar and up close while driving around. Hunter Mountain also provides activities in the warmer months you can just check to see what appeals to you on their website! I'm not a big gambler but we kept hearing this particular casino being promoted all over the radio recently so we decided to check it out since we were nearby. 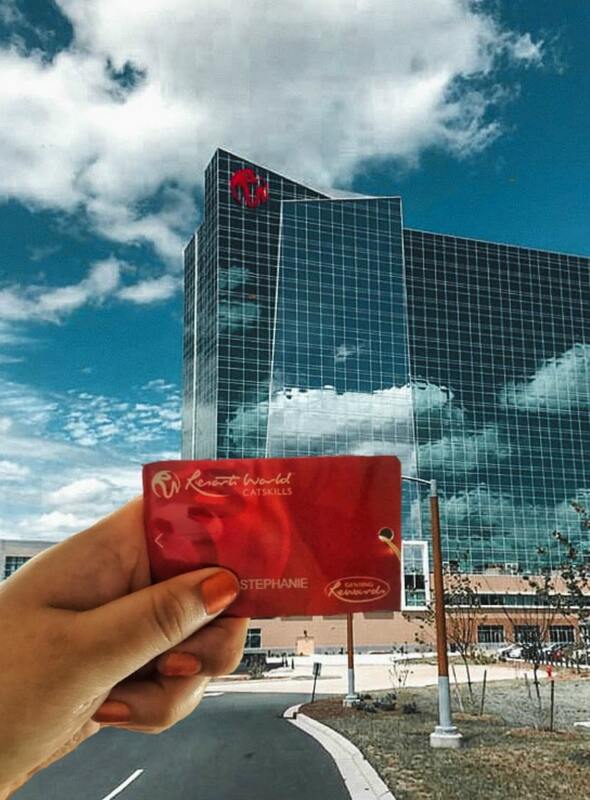 This property is huge and you can either book a stay at their hotel or just visit their casino. The casino is beautifully designed, spacious, and very well organized. There's tons of security, tables, and waiters/waitresses there available making sure their customers are safe and happy. I also spotted a few restaurants and bar areas within the property. They also host many events throughout the year with special guests so check out their website for more information on that. So if you're of age and want to check out this casino, I would recommend checking Resort Worlds Casino if you're in the area! 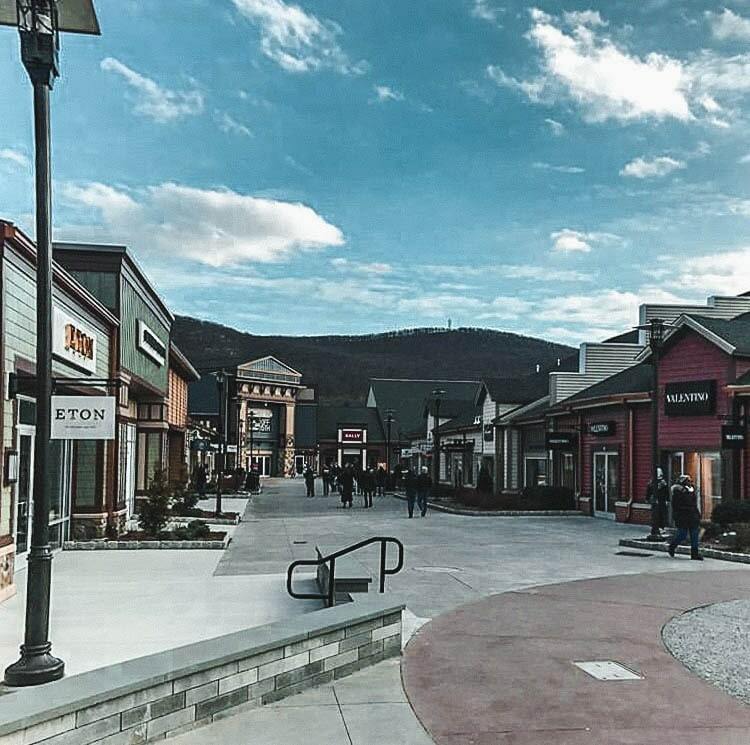 Shop at Woodbury Commons Outlets. I actually didn't know the Woodbury Commons Outlet Mall was considered part of the Catskills. I've been coming here for many years since it's the closest outlet mall near where I used to live. My parents love this place and I can remember the many times we came here to shop over the years. If you never came here before, I recommend checking it out and bring comfy shoes. It's a huge outdoor mall with many shops from all brands and budgets with great discounts and prices! This place gets super packed on the weekends so come early if you want to beat the crowds and also find a good parking spot. You'll find the best deals during Black Friday and the end of the summer for back to school season. If you're coming from NYC, I recommend either stopping here first before heading to your final Catskills destination just to stretch out your legs, walk around, get some shopping done, or grab something to eat. Or if you're heading back to NYC, you can make a stop at this outlet mall to do all the things I mentioned above before heading home! Have you ever visited the Catskills? The Catskills look so pretty! I’d love to visit and get back to nature in those cabins! It's a gorgeous place to visit, highly recommend! I would love to visit the Catskills in autumn. I bet it's like a color explosion. Oh the views you would have out of that cabin window. I can only imagine how gorgeous it would be in the Fall! Wow.. Catskills look amazing. 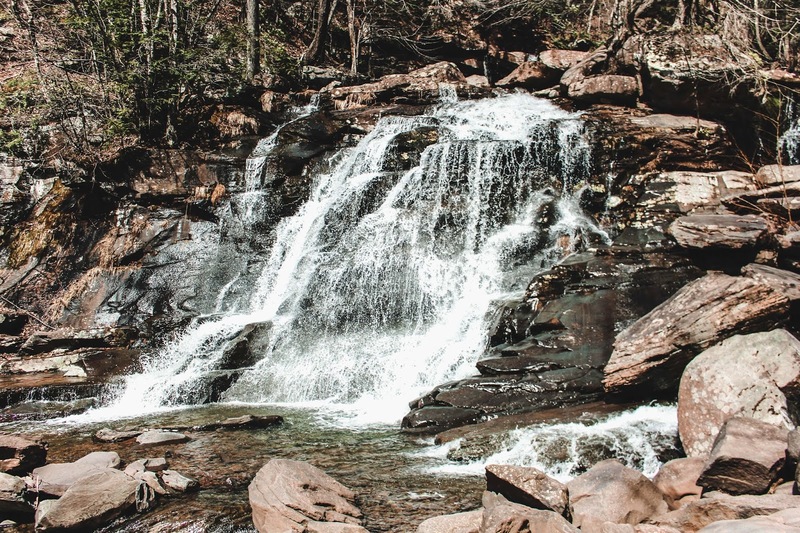 A hike to the Kaaterskill Falls sounds great and worth it. The falls looks gorgeous. The Falls are worth visiting for sure! Frankly, I've never heard of the Catskills - but it looks stunning. I've been considering doing a getaway cabin adventure, but was waiting for warmer weather. This is definitely a sign for me to go ahead! Visited the Catskills long ago and love it. Need to get back and your post is just the reminder I need. So much diversity in New York (well, frankly all of the Northeast). Might have to try to fit in a Catskills visit in between May and June trips to Niagara, Finger Lakes and then the Adirondacks.